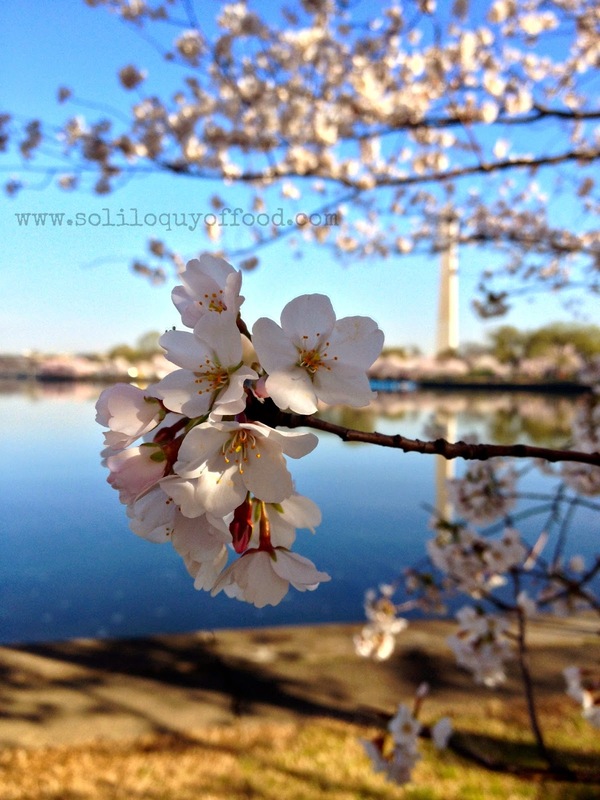 Here are a few pics from our recent walk around the Tidal Basin in Washington, D.C. 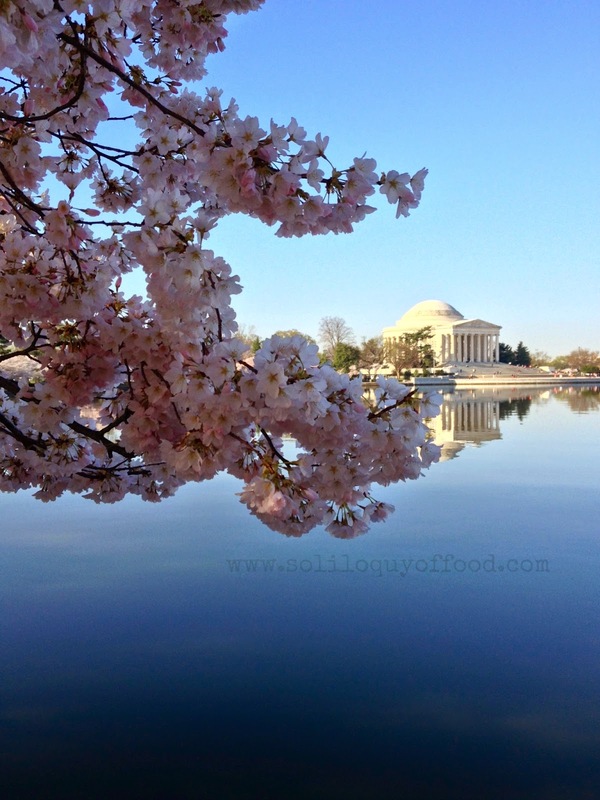 This was the first day of "peak" bloom for the cherry blossoms. We got out early in the day, a few days before the actual celebration and festivities. All of my pictures were taken with my iPhone; it was clear and the skies were blue. Come on, lets go! 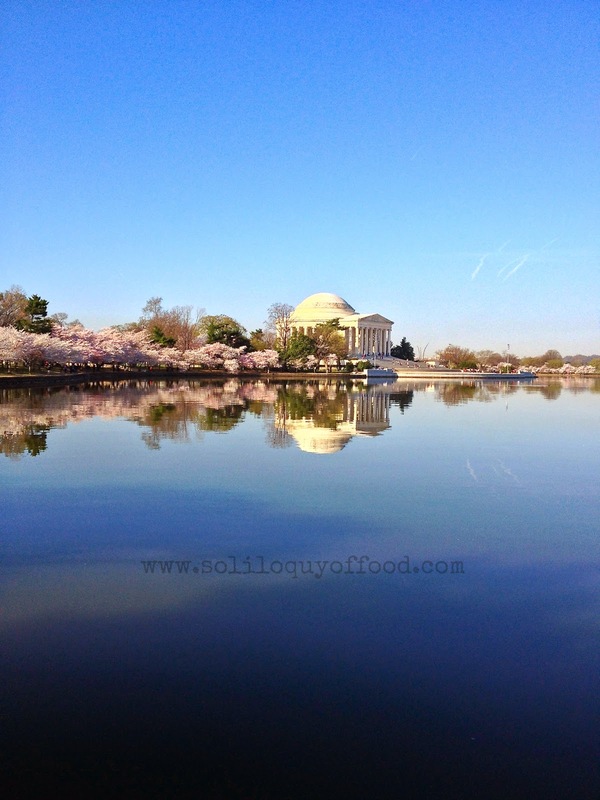 We started at the Tidal Basin Paddle Boat entrance; from here you can see the Jefferson Memorial on the south side of Tidal Basin. 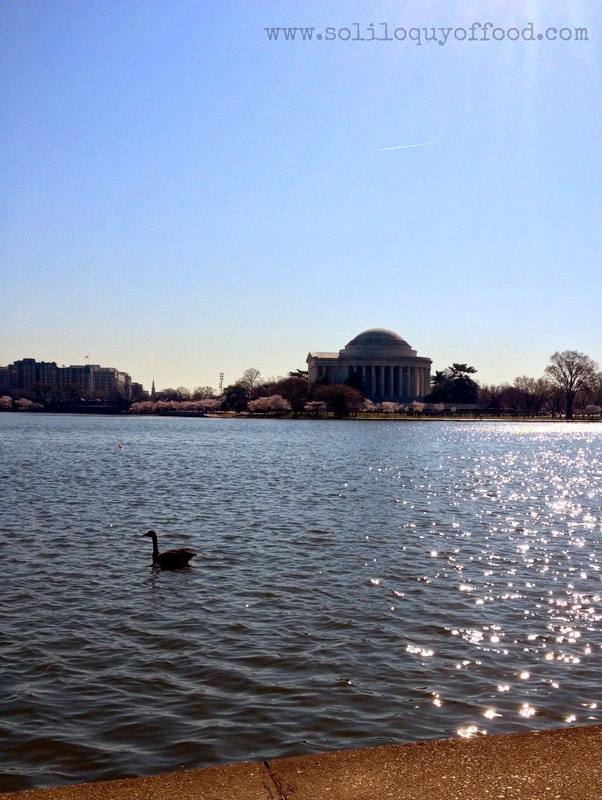 The Tidal Basin was made in the early 1800's to accommodate the overflow from the Potomac River. Just a little further down the path views of the Washington Monument can be seen through the overhanging cherry tree limbs. 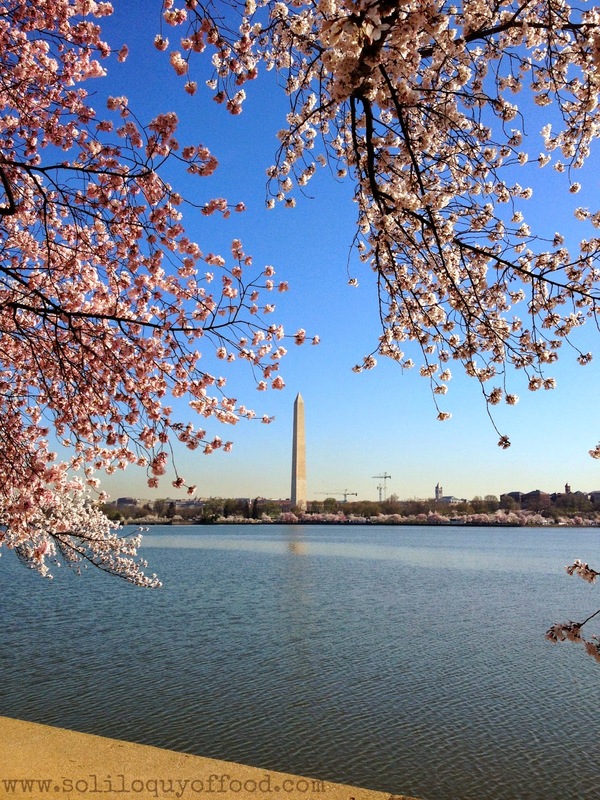 There are over 3,700 cherry trees planted around the tidal basin; in 1912 Japan sent 3020 trees over as an act of friendship. 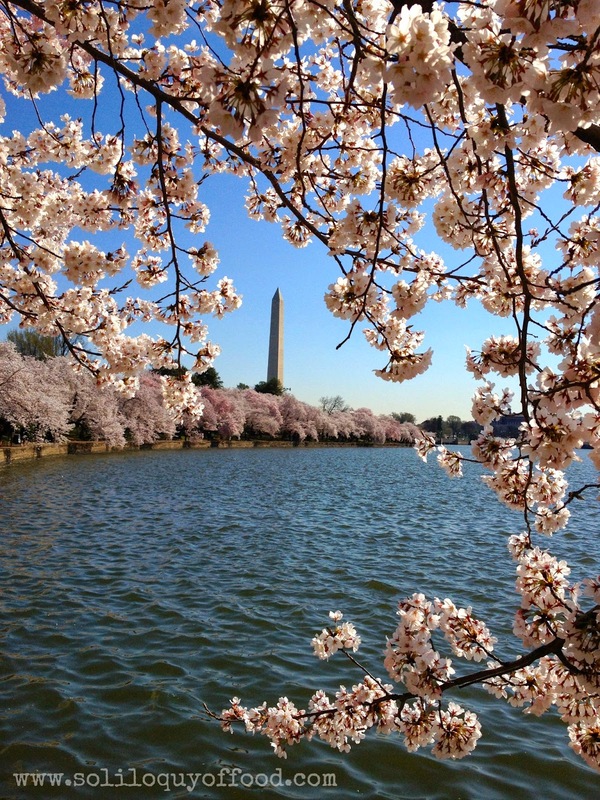 The Cherry Blossom Festival was first held in 1927, celebrating the original 1912 planting. 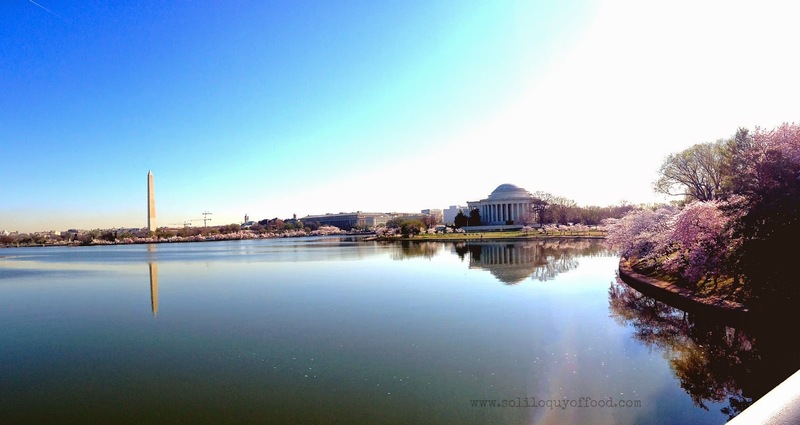 The Thomas Jefferson Memorial gives great views of the Washington Monument across the Basin (that's where I took the picture just above Jefferson, here). 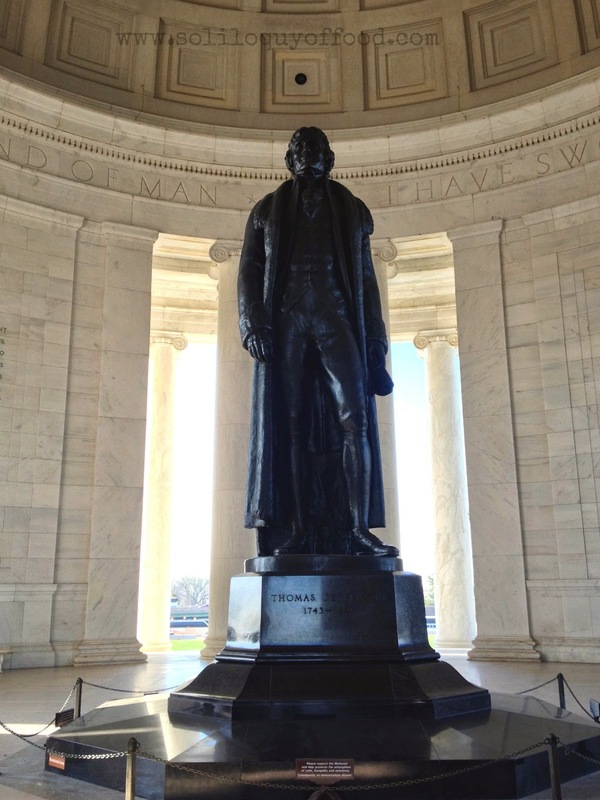 Inside the monument stands a 19' bronze statue of Jefferson; on the walls passages from the Declaration Of Independence, and other works by Jefferson: "I am not an advocate for frequent changes in laws and constitutions, but laws and institutions must go hand in hand with the progress of the human mind. As that becomes more developed, more enlightened, as new discoveries are made, new truths discovered and manners and opinions change, with the change of circumstances, institutions must advance also to keep pace with the times. We might as well require a man to wear still the coat which fitted him when a boy as civilized society to remain ever under the regimen of their barbarous ancestors." Continuing on....crossing the Inlet Bridge directs you here. There are benches all along this side of the Basin, people stop to picnic here, or just stop to feed the ducks. The trees on this side are taller and overhang more - providing a dramatic effect - but caution, watch where you're going....you don't wanna go swimming with the ducks! It was a beautiful clear day. 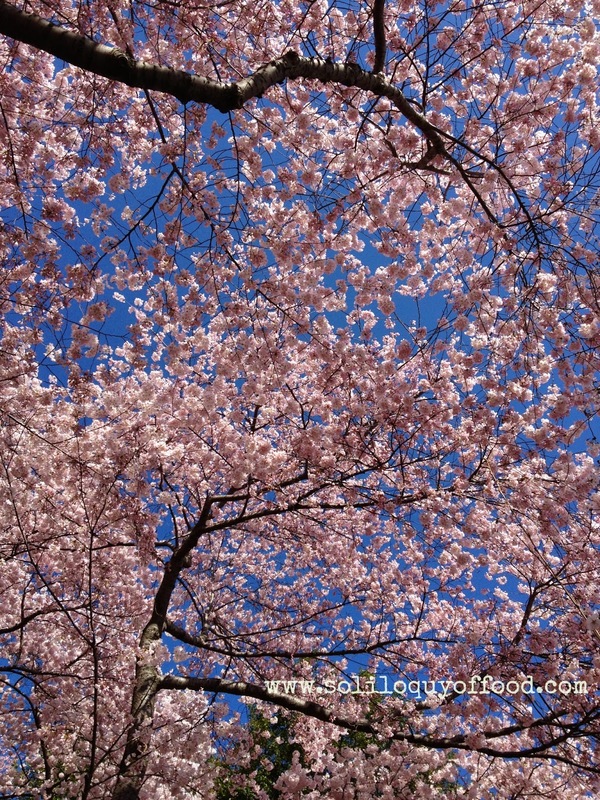 I had ventured under the canopy of blossoms for a minute and looked up. 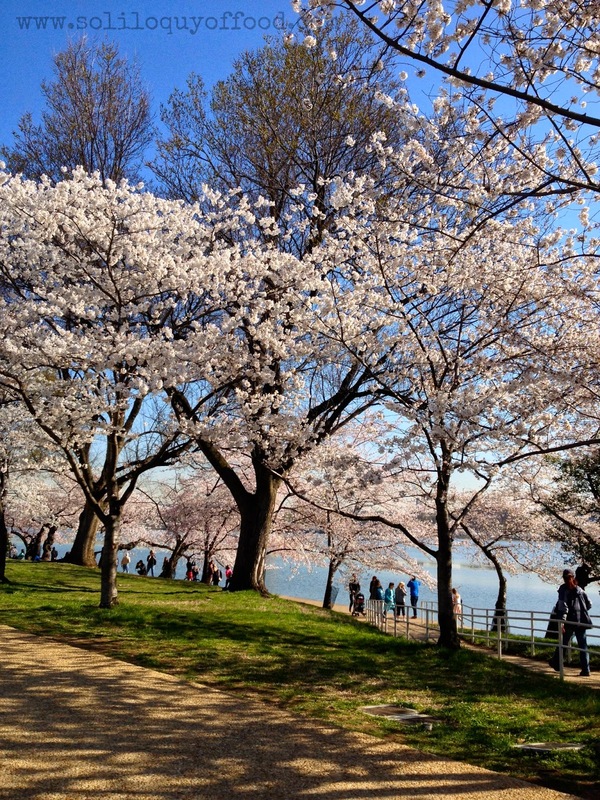 The Franklin Delano Roosevelt Memorial is located just to the left. 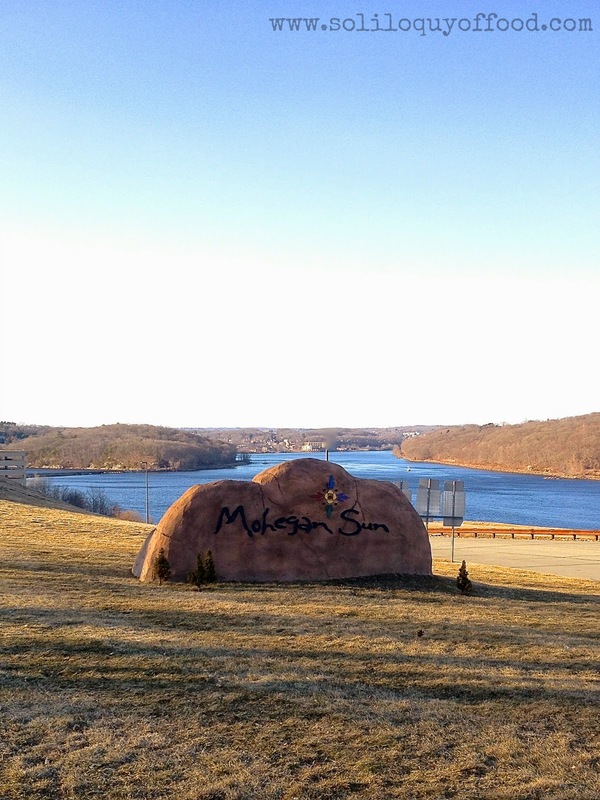 Restrooms are located here for your convince. I don't have any pictures of this - it was very busy here with school trips. 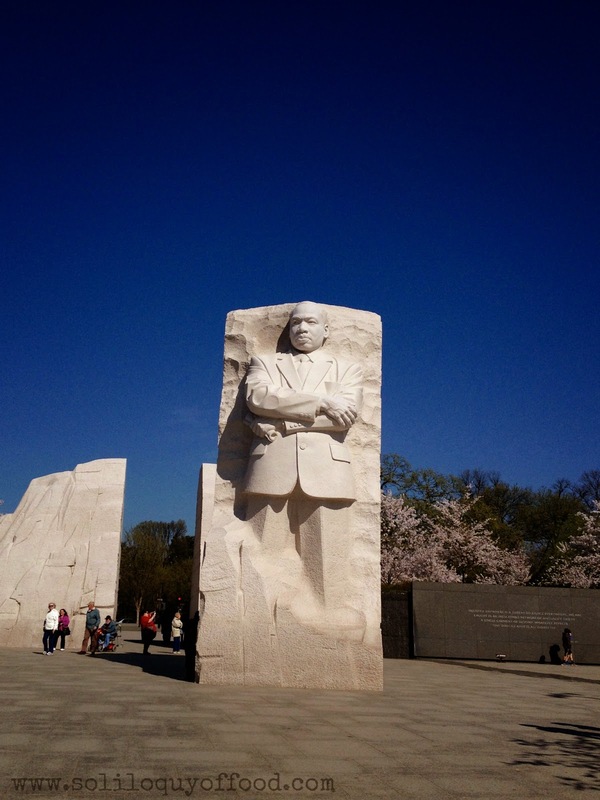 The Martin Luther King, Jr. National Memorial is located on the northwest corner of the Basin, just after the Roosevelt Memorial. 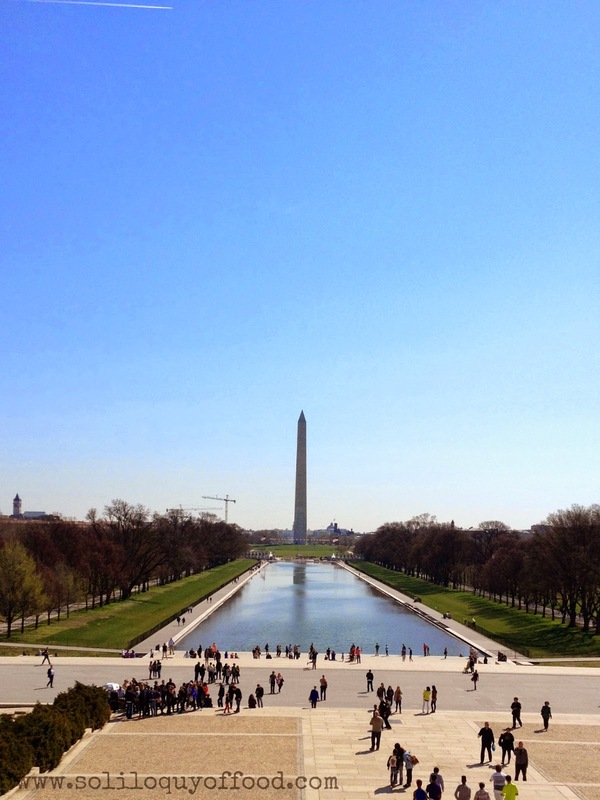 From here we follow the path, then cut across to the World War II Memorial (again, not many pics - very crowded). It was very emotional to see the older war veterans paying their respects to their fallen friends, many now in wheel chairs. Continuing to the Lincoln National Memorial we pass the reflection pool and the Korean War Veterans Memorial off to the left. 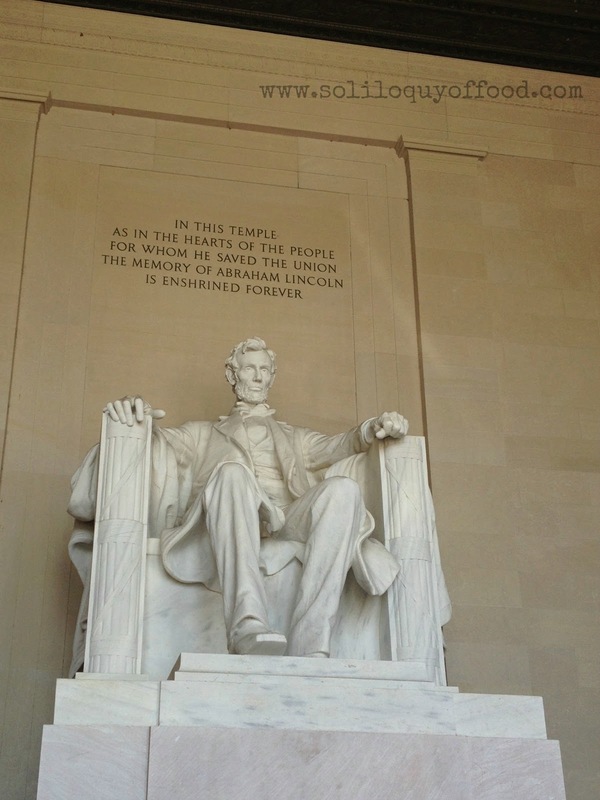 Keep walking........Lincoln is waiting. Inside this is his view, not to clear, but across the reflection pool is the Capital Building just to the right of the Washington Monument. Heading back to Constitution Avenue, we silently passed through the Vietnam Veterans Memorial, and then by the Oval Office. Traffic was pretty heavy and we were on the opposite side of the street, so all my pics are of vehicles in front of, and/or blocking, the White House. Let's take a moment to reflect upon our morning. 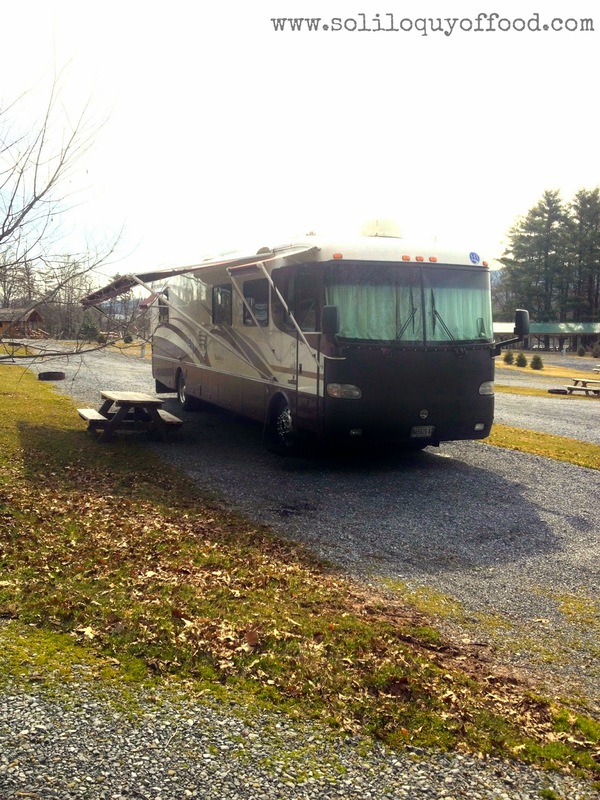 Here is a panoramic pic from our starting point. And another one taken while sitting with the ducks. This completes our walk today; in total we did just about 5 miles of walking. Now, off to the Stars And Stripes Cafeteria for lunch! 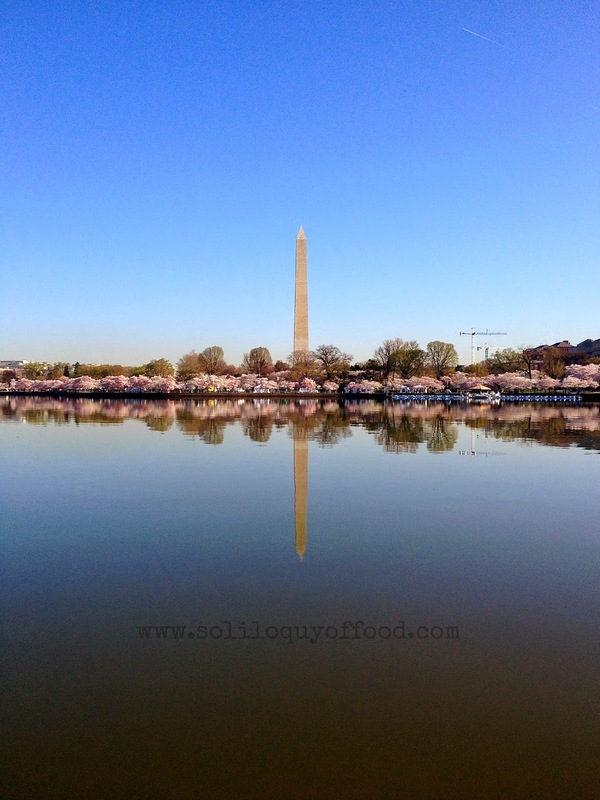 Wow you have some awesome reflection shots, I do love the cherry blossom at this time of the year. 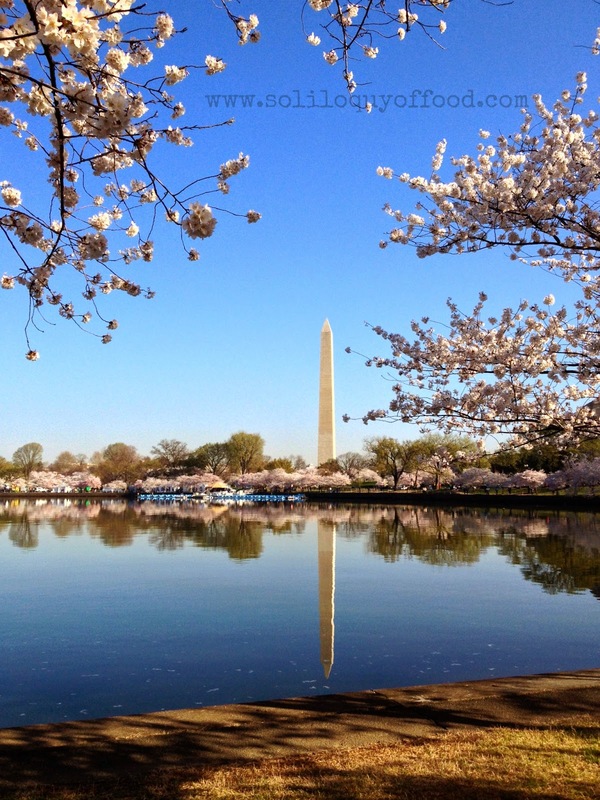 Washington DC while the cherry trees are blooming is on my bucket list!! Love!! Wow, what beautiful photo's it looks like a lovely place to visit. Thanks for linking up to Sweet and Savoury Sunday, stop by and link up again. Have a great weekend! !